The Mathematical Intelligencer recently published a note by Y. Sergeyev that challenges both mathematics and intelligence. We examine Sergeyev’s claims concerning his purported Infinity computer. We compare his grossone system with the classical Levi-Civita fields and with the hyperreal framework of A. Robinson, and analyze the related algorithmic issues inevitably arising in any genuine computer implementation. We show that Sergeyev’s grossone system is unnecessary and vague, and that whatever consistent subsystem could be salvaged is subsumed entirely within a stronger and clearer system (IST). Lou Kauffman, who published an article on a grossone, places it squarely outside the historical panorama of ideas dealing with infinity and infinitesimals. We are grateful to Rob Ely for helpful suggestions. We thank the anonymous referee for Foundations of Science for helpful comments. M. Katz was partially funded by the Israel Science Foundation Grant No. 1517/12. Bascelli, T., Bottazzi, E., Herzberg, F., Kanovei, V., Katz, K., Katz, M., Nowik, T., Sherry, D., & Shnider, S. (2014). Fermat, Leibniz, Euler, and the gang: The true history of the concepts of limit and shadow. Notices of the American Mathematical Society, 61(8), 848–864. http://www.ams.org/notices/201408/rnoti-p848 and arxiv:1407.0233. Day, P. (2006). Review of “Sergeyev, Yaroslav D. ‘Mathematical foundations of the infinity computer’. Annales Universitatis Mariae Curie-Sklodowska. Sectio AI. Informatica, 4, 20–33”. http://www.ams.org/mathscinet-getitem?mr=2325643. Hamkins, J. D. (2015). http://mathoverflow.net/questions/226277/what-is-a-grossone. Kanovei, V., Katz, K., Katz, M., & Schaps, M. (2015). Proofs and retributions, or: Why Sarah can’t take limits. Foundations of Science, 20(1), 1–25. doi: 10.1007/s10699-013-9340-0 and http://www.ams.org/mathscinet-getitem?mr=3312498. Kanovei, V., Katz, K., Katz, M., & Sherry, D. (2015). Euler’s lute and Edwards’ oud. The Mathematical Intelligencer, 37(4), 48–51. doi: 10.1007/s00283-015-9565-6 and arxiv:1506.02586. Katz, K., & Katz, M. (2011). Meaning in classical mathematics: Is it at odds with Intuitionism? Intellectica 56(2), 223–302. arxiv:1110.5456. Katz, K., & Katz, M. (2012). A Burgessian critique of nominalistic tendencies in contemporary mathematics and its historiography. 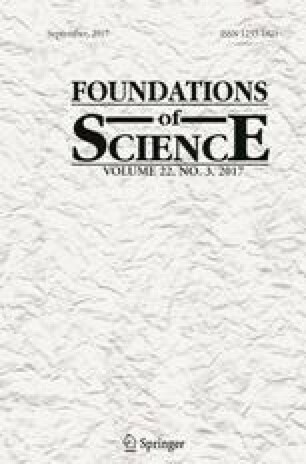 Foundations of Science, 17(1), 51–89. doi: 10.1007/s10699-011-9223-1 and arxiv:1104.0375. Katz, M., & Kutateladze, S. (2015). Edward Nelson (1932–2014). The Review of Symbolic Logic, 8(3), 607–610. doi: 10.1017/S1755020315000015 and arxiv:1506.01570. Katz, M., & Leichtnam, E. (2013). Commuting and noncommuting infinitesimals. American Mathematical Monthly, 120(7), 631–641. doi: 10.4169/amer.math.monthly.120.07.631 and arxiv:1304.0583. Katz, M., & Sherry, D. (2012). Leibniz’s laws of continuity and homogeneity. Notices of the American Mathematical Society, 59(11), 1550–1558. http://www.ams.org/notices/201211/rtx121101550p and arxiv:1211.7188. Katz, M., & Sherry, D. (2013). Leibniz’s infinitesimals: Their fictionality, their modern implementations, and their foes from Berkeley to Russell and beyond. Erkenntnis, 78(3), 571–625. doi: 10.1007/s10670-012-9370-y and arxiv:1205.0174. Kauffman, L. (2015b). MathOverflow answer. http://mathoverflow.net/questions/226277/what-is-a-grossone. Keisler, H. J. (1986). Elementary calculus: An infinitesimal approach (2nd ed.). Prindle, Weber & Schimidt, Boston. http://www.math.wisc.edu/~keisler/calc.html. Kreinovich, V. (2003). Review of “Sergeyev, Yaroslav D. Arithmetic of infinity. Edizioni Orizzonti Meridionali, Cosenza, 2003”. http://www.ams.org/mathscinet-getitem?mr=2050876. Kutateladze, S. (2011). Letter to the Editor. On the Grossone and the infinity computer. Newsletter of the European Mathematical Society, 79, 60. https://www.ems-ph.org/journals/newsletter/pdf/2011-03-79. Sergeyev, Y. (2015b). Keynote address, Las Vegas. http://www.world-academy-of-science.org/worldcomp15/ws/keynotes/keynote_sergeyev. Vakil, N. (2012). Interpreting Sergeyev’s numerical methodology within a hyperreal number system. http://vixra.org/abs/1209.0070. Zlatoš, P. (2009). Review of (Gutman & Kutateladze 2008). http://www.ams.org/mathscinet-getitem?mr=2469053.